Disney is planning to use drones as part of their theme park shows. Last week, the mega-amusement park filed for three drone patents, envisioning flying robots that could animate giant puppet Disney characters, carry large aerial projection screens or act as floating pixels in virtual fireworks shows. According to the three recently published patent applications, the first one describes the use of multiple drones that pull the strings on super-large marionettes, moving their limbs. In the second patent application, Disney suggests drones that carry flexible projection screens to present “an aerial display over an audience of spectators”. 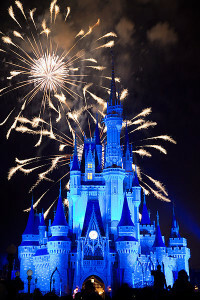 In the third patent application, Disney describes drones as a replacement for fireworks; they are called “flixels”, fireworks with pixels combined, and would become lit-up substitutes for a regular fireworks show. Disney says with the drones we will enter an era of aerial movie screens and larger-than-life puppets flying through the sky. However, before Disney launches swarms of drones in its theme parks, the Federal Aviation Administration has to promulgate new regulations for commercial drone use. That would impact on drone use by an array of industries such as civil engineering, television news, and package delivery.